Hi everyone! 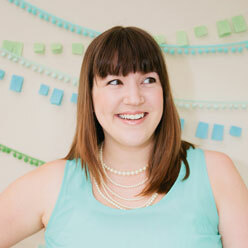 Maddy from Splendid Supply Co. here, recapping my favorites from the National Stationery Show (NSS). I've divided my posts into four categories: Moms; Babies and Kids; Parties; and Home. See entire coverage of NSS on Momtastic here! Today, I'm recapping picks for Parties. Upside Down Balloons—A Fun Party Twist!